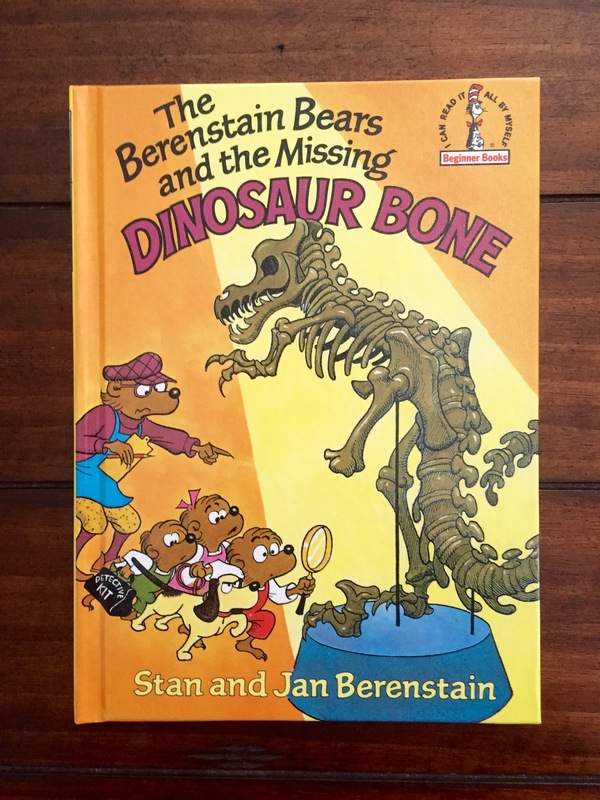 Everyone is caught up in Jurassic Park / Jurassic World fever, and while watching the film this weekend, I couldn’t help but think of all the great fascination Stan, Jan, and Mike have had with dinosaurs over the years. 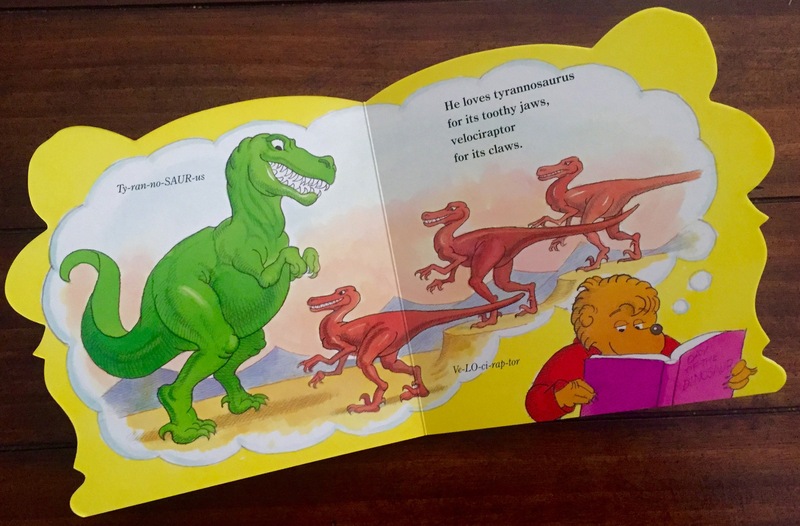 In particular, I was reminded of the page from “Brother Bear Loves Dinosaurs” (Harper, 2004), a board book that features a confrontation between several velociraptors and a t-rex…. Inspired by the original Jurassic Park film (1993), perhaps? 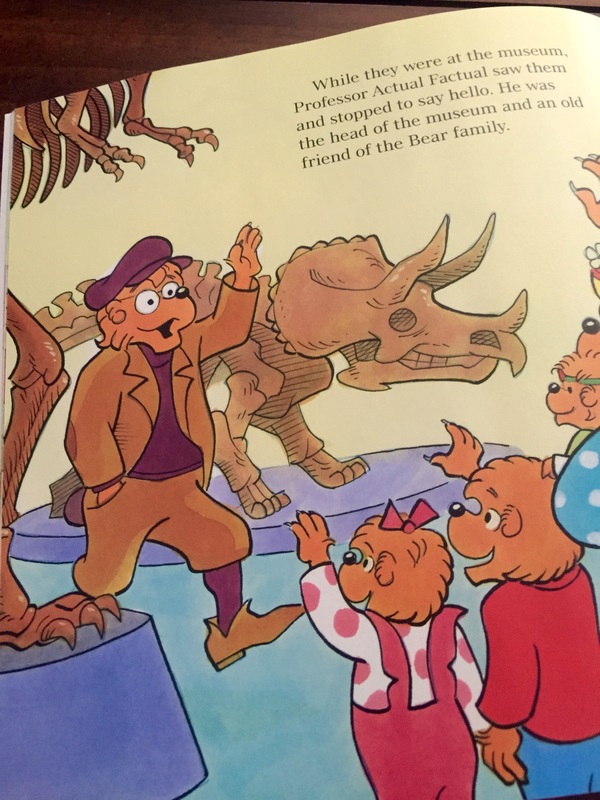 Either way, I figured now was a great time to highlight some of my favorite Berenstain books featuring dinosaurs. 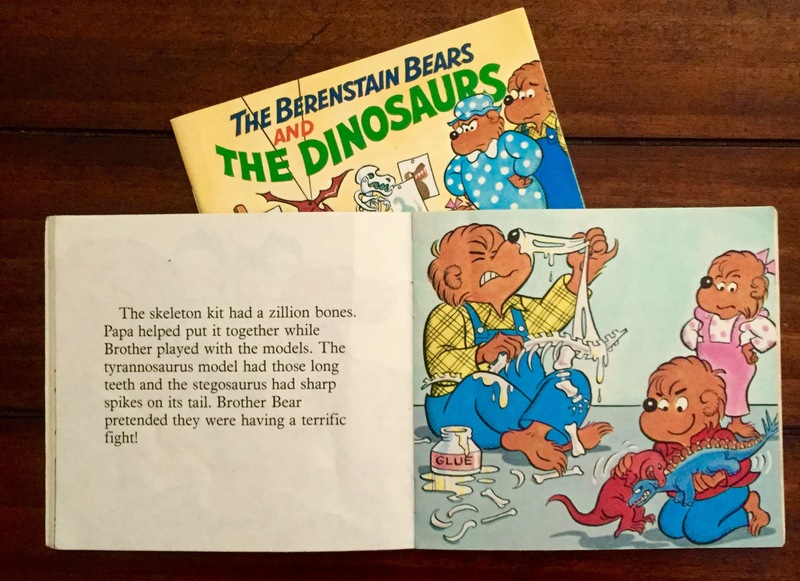 The Berenstain Bears and The Dinosaurs (Random House Mini-Storybook, 1984) This was one of my all-time favorite Berenstain Bears books as a kid (and one of my first!). I, too, loved dinosaurs as a kid (who didn’t?) and this book was read over and over. 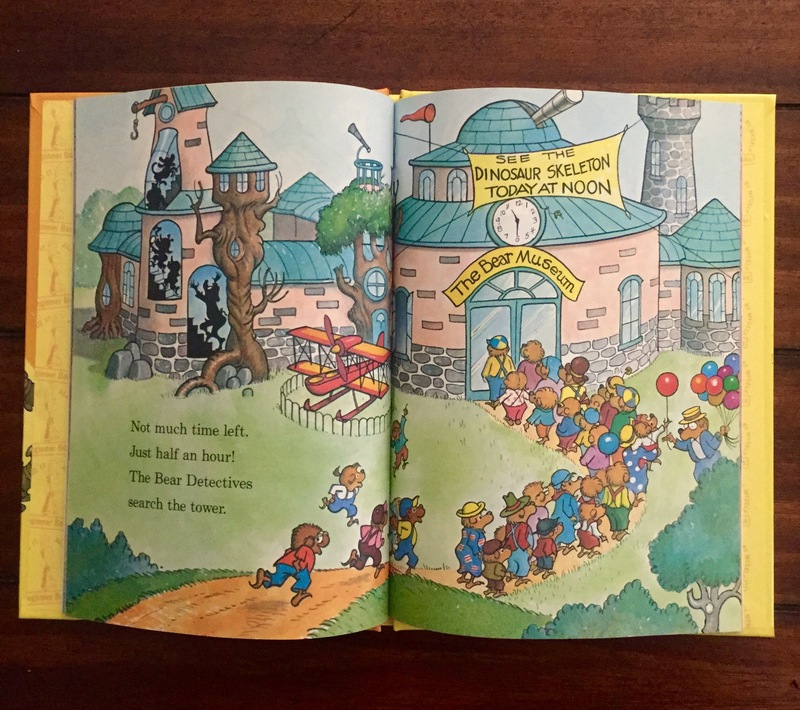 Originally published by Random House (buy a used copy here, as it is out of print), it was also available as a free premium in a kids meal at Long John Silver’s in the mid-80s. 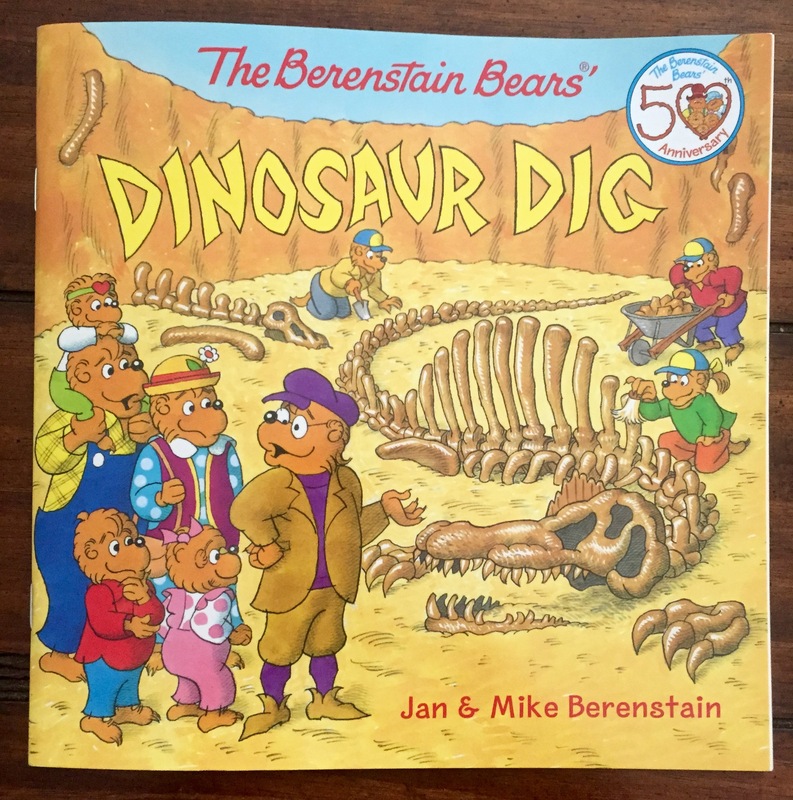 Classic dinosaur books by Mike, Stan, and Jan Berenstain – but no Berenstain Bears. 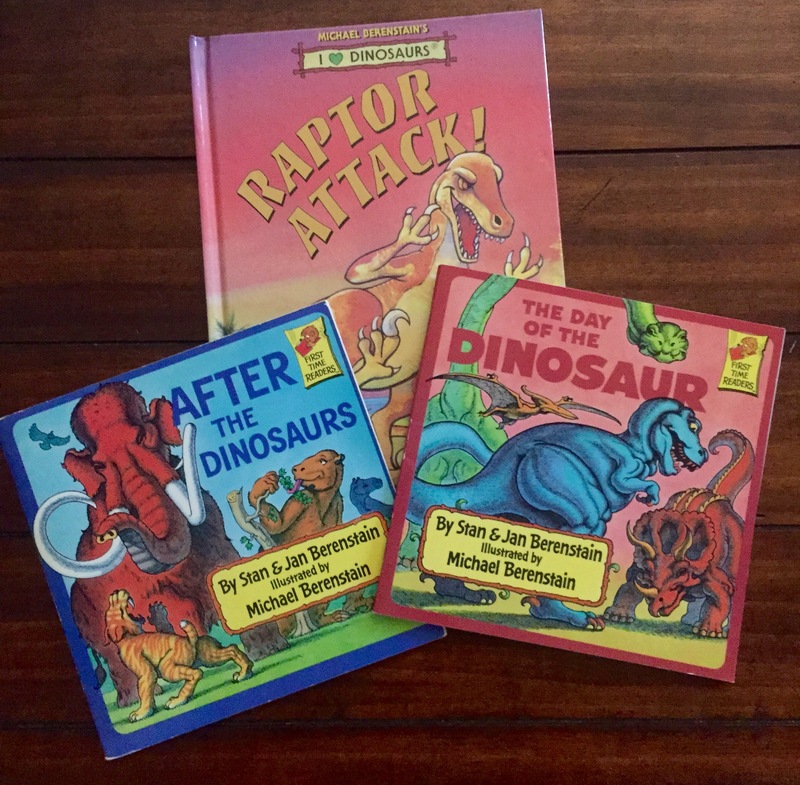 “Raptor Attack!” by Mike Berenstain (Inchworm Press, 1997; “The Day of the Dinosaur” by Stan & Jan Berenstain, illustrated by Mike Berenstain (Random House, 1987) and “After the Dinosaurs” (Random House, 1988). Deep In Bear Country: Episode 1 – An Introduction!